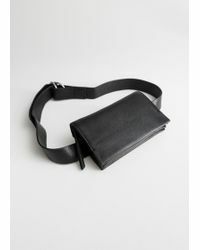 Launched in 2013, & Other Stories is a high street label offering quality clothing and accessories at a reasonable price. 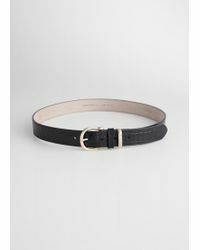 Collections from this contemporary womenswear label are designed in Paris and Sweden and are known for their simple, elegant aesthetic and clean lines. 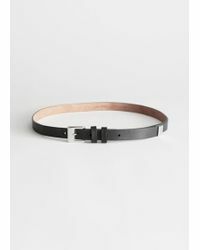 Classically stylish in beautifully sculpted leather, & Other Stories designer belts range from simple black and brown styles to textured, embellished and richly colored accessories. 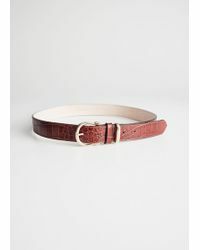 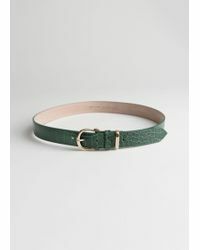 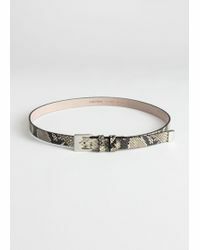 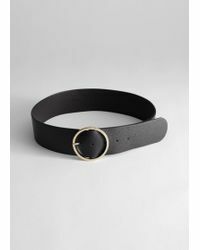 An easy way to update your day-to-day looks, try cinching the waist of a plain shift dress with a patterned belt. 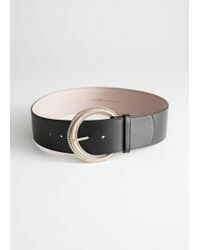 Showing 130 results for "Women's & Other Stories Belts"